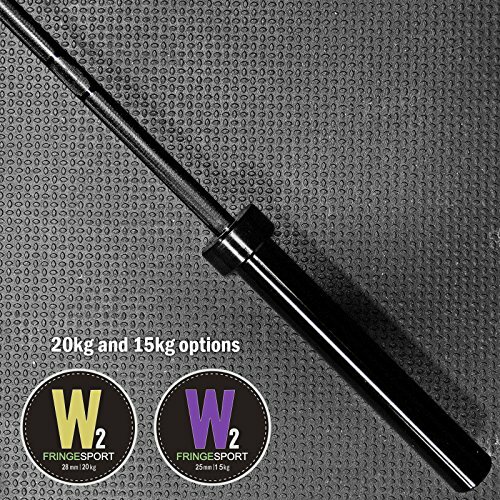 We are proud to introduce the OneFitWonder Wonder Bar Olympic Barbell! This bar represents the result of 7 years of using every bar on the market, plus three years of selling Oly bars at FringeSport. We've taken everything we know about bars and delivered a competitively priced entry-level bar that has a ton going for it. The Wonder Bar V2 comes in a bushing or bearing cartridges, the specs for both are the same outside of that. Awesome dual knurl pattern- single ring IWF with no center knurl.